With over 15 years experience in the business world prior to becoming a lawyer, and over 15 years as both a transactional lawyer and a litigator for local and national firms, as well as in-house, and for the government as a securities regulator, I bring a rich mix of knowledge and skills to the work I do for clients. I try to be responsive and treat each client as I expect to be treated. My clients know that they can reach me quickly whenever they need to and that I will fight for them – because I care how things turn out for them. Kimberly “Kim” Stein is a shareholder who advises clients on securities law, gaming law, intellectual property, entertainment law, civil litigation and corporate law over various industries. She provides counsel on a full range of corporate matters including contracts, private placement memorandums, compliance plans, and financing. Kim manages intellectual property, including licensing agreements, trademark and copyright applications, and infringement matters. She also handles a full range of business and commercial disputes and securities matters, litigating in state and federal courts. Having moved to Las Vegas in high school, Kim is considered a native of Nevada. Prior to joining the firm, Kim worked for a national law firm performing similar services. Prior to re-entering private practice, Kim served as Chief of Enforcement for the Securities Division of the Office of the Secretary of State of Nevada, experience which informs the advice she gives clients on compliance with securities laws and regulations. Kim was also Vice President of Corporate and General Counsel to Sona Mobile, a software solutions company for gaming and entertainment, where she was responsible for all of the company’s legal, regulatory and compliance matters and handled their intellectual property. In the course of her career in government and the private sector, she has worked with numerous state and federal agencies including the SEC, FBI, Nevada Gaming Control Board and the Nevada Gaming Commission. Kim’s experience in banking, securities, finance, operations and law has provided her a strong business background to assist with her clients on a business and legal level. Over the course of her career, Kim has worked for various companies, including Mikohn Gaming, Sun International Resorts, Casino Data Systems, Alliance Bally Gaming and First Interstate Bank of Nevada. Kim is also active in the community as a member of the UNLV Foundation and a Regional Trustee of Olive Crest, Las Vegas Chapter, as well as she participates in various other charitable organizations and events. A long-term Las Vegas resident, Ms. Stein is a shareholder of the firm and concentrates her practice on securities law, gaming law, intellectual property, civil litigation, and corporate law. Ms. Stein’s experience in banking, securities, finance, operations and law has provided her a strong business background to assist her clients on a business and legal level. Prior to joining Holley Driggs Walch Fine Wray Puzey & Thompson, Ms. Stein worked for a national law firm performing similar services. Prior to re-entering private practice, Ms. Stein served as Chief of Enforcement to the Office of the Nevada Secretary of State, Securities Division. As the former Chief of Enforcement for the Securities Division, Ms. Stein provided clients with in-depth legal advice and insight on Nevada’s securities laws and regulations. Ms. Stein has worked with numerous state and federal agencies, including the SEC, FBI, Nevada Gaming Control Board and the Nevada Gaming Commission, to perform investigations and enforce securities laws and regulations. She uses her extensive experience with the Agencies to aid corporate clients in a wide range of securities, gaming and regulatory matters. Ms. Stein was also Vice President of Corporate and General Counsel to Sona Mobile, where she was responsible for all of the company’s legal, regulatory and compliance matters and handled their intellectual property. As a member of the Company’s executive management team, Ms. Stein was responsible for all of the Company’s day-to-day operations and also for all of the company’s legal and regulatory matters. Sona Mobile was a leading provider of secure software solutions for gaming and entertainment application, including server based and mobile gaming. Prior to joining Sona Mobile, Ms. Stein was a partner in a local Las Vegas law firm where she provided both transactional and litigation services to similar companies, including drafting of licensing agreements, reviewing website content and agreements, and litigating similar matters. Ms. Stein also has experience representing clients in a range of other corporate matters, including negotiating contracts, drafting private placement memorandums, compliance plans, financing, litigation in State and Federal courts, managing intellectual property, filing trademark applications, copyright infringement matters and handling employer-employee matters. Ms. Stein’s experience in the gaming industry, which spans over 15 years, began prior to her becoming a lawyer. Over the course of her career, Ms. Stein has worked for various companies, including Mikohn Gaming, Sun International Resorts, Casino Data Systems, Alliance Bally Gaming and First Interstate Bank of Nevada. Ms. Stein’s experience in banking, securities, finance, operations and law has provided her a strong business background to assist with her clients on a business and legal level. 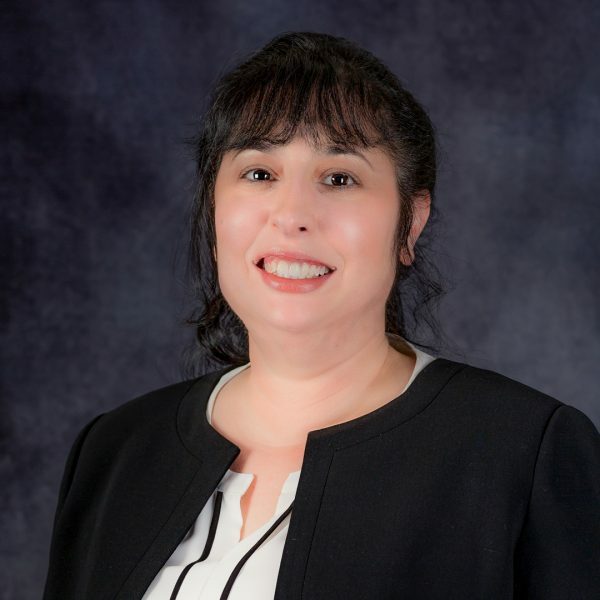 Ms. Stein earned her undergraduate degree in Finance and an MBA from UNLV before obtaining her Juris Doctor from Boston University School of Law in 2003. Ms. Stein is a member of the Clark County Bar, American Bar and Nevada Justice Associations. Ms. Stein is also active in the community as a member of the UNLV Foundation’s Annual Giving Council, an Advisory Board Member of Nevada H.A.N.D. and a Regional Trustee of Olive Crest, Las Vegas Chapter.